If you’re looking for a top tasting snack that features delicious, high quality ingredients, whilst also being rich with wholesome nutty goodness, then look no further than KIND’s eight-strong collection of carefully crafted bars. Each is made with real food ingredients such as whole nuts, fruits and spices, which are bound together in honey for a palate-pleasing and nutritious result. Packed with protein, fibre and heart-healthy fats, the bars will keep you fuller for longer and contain lower levels of sugar when compared with similar snack bars you’ll find in the supermarkets. Plus, they are perfectly portioned to pop in your gym or handbag, glove compartment or desk drawer, ready for when a snack attack hits. 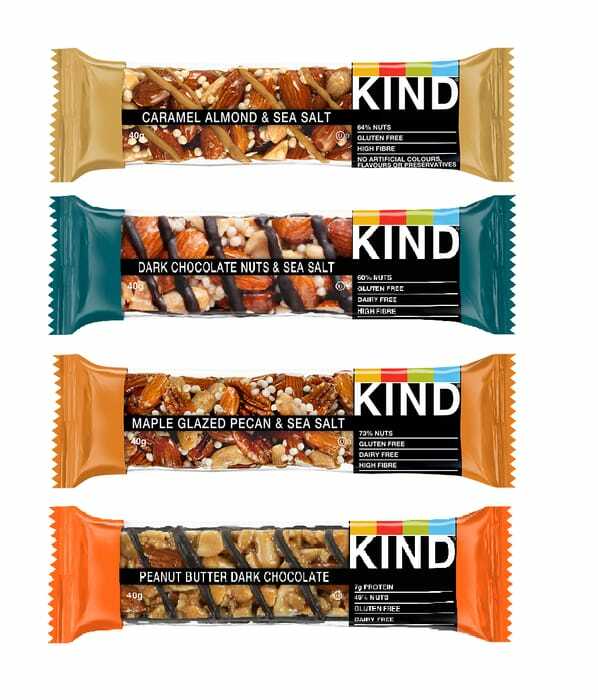 For a sweet and salty taste, try KIND bars in Dark Chocolate Nuts & Sea Salt, Caramel Almond & Sea Salt or Maple Glazed Pecan & Sea Salt. Alternatively, Peanut Butter & Dark Chocolate, Almond & Coconut, Dark Chocolate Mocha Almond and Madagascan Vanilla Almond are four more unmissable flavours. The competition will close on May 10th 2018.